Africasino Online Casino Review, Bonuses and More! With a lucrative VIP loyalty program, plenty of casino games, and an enticing welcome bonus of a 300% deposit match, there are plenty of incentives to join Africasino. Weekly bankroll boosts and a generous loyalty program with massive perks are just a couple of the reasons why Africasino's bonus scheme competes with top casino sites. But first, let's get into the welcome bonus for new players! While there are currently no deposit free bonuses at Africasino, new players can get in on some incredible deals thanks to a generous deposit match bonus. Find out more about the massive welcome bonus below! Africasino’s Welcome Bonus: 300% up to R6,000! All new players at Africasino will receive a massive 300% match bonus on their first deposit of up to R6,000. If depositing in euros this would translate to 300% up to €420. This is only the first or multiple bonuses you can claim as an Africasino member, as they not only keep you updated on exclusive deposit bonuses through their weekly newsletter, but have a fantastic VIP system in place, weekly bonus schemes, and more! If you are looking for more than just a one-time bonus deal, Africasino has you covered with their weekly “Happy Hour” where players can claim a 100% deposit match every Friday! Loyal members are automatically enrolled in Africasino’s VIP package, a loyalty program that rewards frequent players with incredible prizes the more they play and consists of four tiers or levels which are explained in the table below. At Africasino you can find a wide variety of games including slots, scratch cards, table games, and even a live casino to play selected casino classics in! With plenty of hits available from gambing networks NetEnt, NextGen, BetSoft (soon available) and more, Africasino boasts a respectable collection of casino games for its member to choose from. Some better-known titles include Gonzo’s Quest, Wild Wild West, Motorhead, Merlin’s Millions and Fairytale Legends: Little Red Riding Hood. Players can also enjoy some more obscure but equally entertaining titles such as Trump It and Poltava. In addition to plenty of video slots, members of Africasino can also enjoy classic casino games like craps, blackjack, Sic Bo, baccarat, 3 card poker, Caribbean Stud poker and more. You can also find the best video poker variations in terms of RTP including Deuces Wild, Joker Wild, Jacks or Better and Joker Poker among others. Can You Also Play Live Casino Games at Africasino? In addition to plenty of table games and variations of casino classics, you can also enjoy blackjack, roulette, casino hold’em and baccarat tables at Africasino’s live casino. Not only do these tables have a live dealer waiting to cut you into the action, but you can also access them 24/7! While there is no mobile application to download, you can still play from your smartphone or tablet on Africasino’s fully functioning mobile platform. 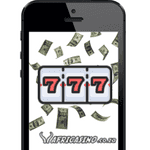 Just head over to your mobile or tablet browser and go Africasino’s homepage and you will be automatically redirected to their mobile friendly site! At Africasino there are live customer support agents ready to assist you at all hours via live chat, and you can choose to communicate in English, German, Russian, Spanish, Italian, Swedish, Finnish, Norwegian, or Danish. The site also offers a phone number and email address to contact as well as an extensive list of frequently asked question to browse through. With some excellent bonuses, a decent selection of games, and lightning quick customer support Africasino is a great up and coming casino site for beginners as well as advanced players. To claim any of the bonuses mentioned on this page be sure to click to the links that will automatically direct you to the exclusive deals featured on this review. There are many deposit options on Africasino. You can choose the most convenient one for you. A minimum deposit of R50 is required to claim a bonus.